Whether they be in votive, tea light, pillar or taper forms, Christmas scented candles can be found practically everywhere this season. But when it comes to candles and the fact that they deal with open flames, you need to know what candles are good to buy and what you need to pass on. When shopping for Christmas scented candles, check if the wick is tightly braided and tug on it to see if it’s secure. Loosely braided and unsecure wicks can make candles burn unevenly and flames to flicker wildly. This can cause nearby items to catch fire and an accident during the holidays is something you want to avoid. 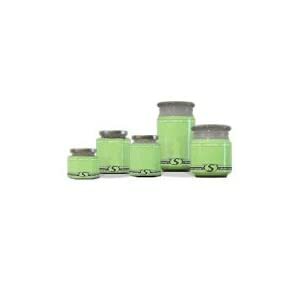 For jars or votives, you would want to buy ones that are in thicker glass. The thicker the glass, the less likely it is to break. Also, check for recommended burn times and warning labels. While the latter information is voluntary, it’s a great sign showing that the company cares for its customers. Now that you know what to look for in a candle, it’s time to put the shopping knowledge to use and seek a perfect Christmas scented candle to give as Christmas gifts or to bring light to your own home. It Must Be Christmas Morning is the perfect Christmas candle to remind you of all the great memories about Christmas morning. 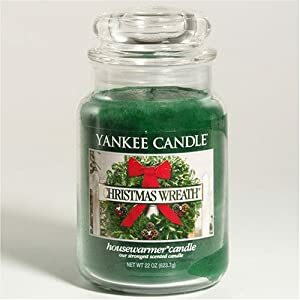 With scents of Christmas tree needles, Christmas cookies, cinnamon sticks, candy, holly berry and nutmeg, you’re bound to get in the Christmas spirit with this candle. Holiday Spice - With a blend of cinnamon, nutmeg and orange wafting through the air, who wouldn’t be excited about the holidays? Each package contains 6 pieces of ½ fl. oz. mini tarts so you can be reminded that it’s Christmas time over and over again. 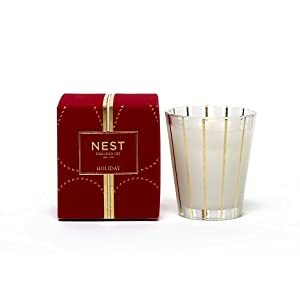 NEST Fragrances Scented Candle, housed in a custom designed glass with gold detail, pairs traditional holiday fragrances with its festive red velvet packaging. Not only does it give off that perfect holiday scent, it can also serve as beautiful holiday décor. 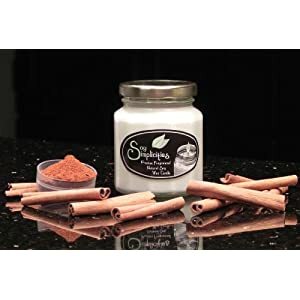 Soy Simplicites Soy Wax Candle - Cinnamon Twist - Not only is this candle perfect for Christmas with its spicy scent of cinnamon sticks that’s sure to wake up your senses but each candle is also made with all natural soy wax and cotton lead-free wicks that assures you of a clean burning, long lasting scented candle. 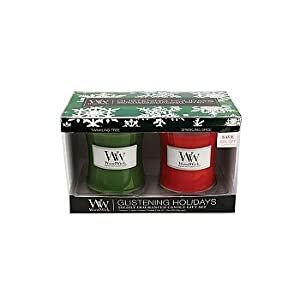 Glistening Holiday WoodWick Jar Candle Gift Set - This set of 2 jar candles feature a natural wick made from organic wood and combines the sound of crackling fire with soothing fragrances of “Twinkling Tree” and “Sparkling Spice”. And with the candles being made with soy, you can enjoy the scents longer than other candles. 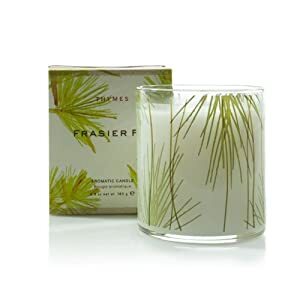 Thymes Poured Candle, Frasier Fir, With the scents of Siberian fir needles, cedarwood and sandalwood, this candle can bring forth warmth and joy that you can share with all your loved ones this Christmas. Christmas Tree Highly Scented Jar Candles, With the scent of spruce wafting through your home, you might end up forgetting that your Christmas tree is fake. This highly scented candle has a great scent throw that’s sure to fill your home with the impressive fragrance that’s purely Christmas. Tyler Candles - Christmas Tradition Scented Candle - Fruitcake in a jar is what I would call this scented jar candle with its tantalizing blend of orange, apricot, tangerine, ginger, clove and cinnamon. Be reminded of that quintessential holiday snack and enjoy the fragrances even without getting a bite. 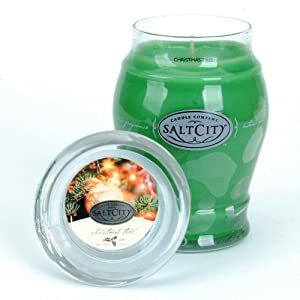 Christmas Tree Salt City 26oz Jar Candle - What other scents scream the promise of Christmas other than pine, fir and spruce? Even before you open your eyes and set sights onto the festive décor in your home, have your senses be reminded that it’s Christmas with this scented candle. Handle the candle with care! A Flame should only 1 or 2 inch high and steady. Lots of flickering means a candle is in a draft or in poor quality. While too high flame is a fire hazard.